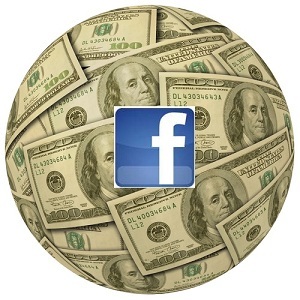 So you may be asking yourself what's the big deal about Facebook stock ...? Have you seen where Google's stock started and where is it now? Well it initially opened at $85 and today it is worth $600.40 (Morningstar - Google stock). That's a positive 492% return if you sold that today. Furthermore Apple's stock initially opened at $22 and if you sold that today, you would have a 526% return (Morningstar - Apple stock). Now that I have your attention, Facebook is at the center of the Internet. There is no other site that you can find information on everything that people today everyday in their lives. When Facebook implemented the innovative "like" button, they cemented their relevance in every market. Whatever website you browse, whatever movies you view, whatever music you listen to, etc, etc, Facebook and your friends know. This is a truly innovative business and the information they possess is critical for other companies to sell their products. The timeline feature was not enforced to solely change every user's layout, but Facebook wants to catalog every user's life from cradle to grave. This information is very relevant to marketers and if you heard about GM backing out of their marketing agreement for $10 million, they are not hurting anyone but themselves (Marketing Mag). Do not let that publicity stunt fool you. Nonetheless, just as Google and Apple have or had great inventers, Facebook has a CEO and leader that is from a another planet. The way Mark Zuckerberg and his team disseminates, analyzes and processes information to make sound decisions is second to none. Albeit, we will see how Facebook's mobile strategy evolves over time, there is great potential for great returns in your portfolio. There has been no other time in human civilization that we have had this much access to information, which indicates Facebook and associates will continue to make great services and make the changes that will add to their brand to make it a household name everywhere. Also, when you get a chance, check out PadBare, a product that Rudy and I developed and sell to protect your iPads and Android tablets, and just a great backpack to take on-the-go.